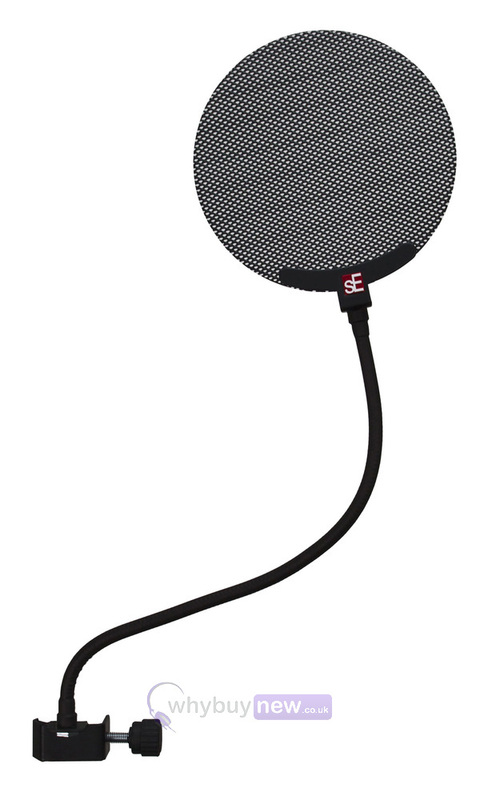 The sE Electronics Pro Metal Pop Filter is a great studio accessory. The unique metal shield with its slightly convex shape helps to redirect unwanted low-frequency air blasts to the side of the screen. 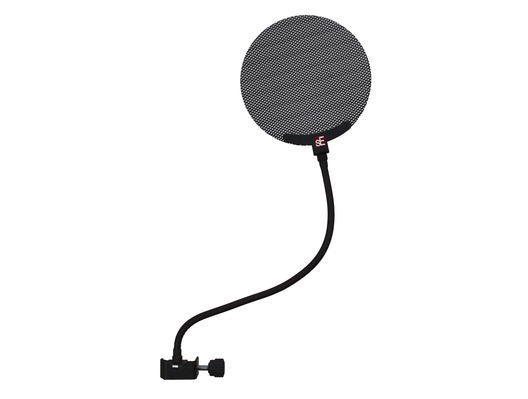 The Pro Metal Pop Filter is not your ordinary pop screen. This unique metal screen is not simply perforated, but implements a slightly convex shape. This process does not attenuate high frequencies (as fabric screens can) and leaves the vocal performance completely unaffected, minus any disruptive low frequency "pops".